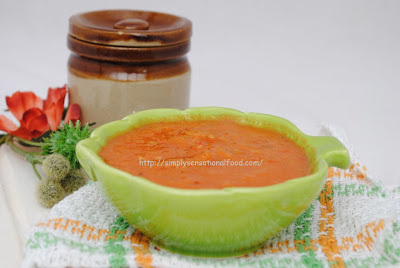 Tangy and spicy mango chutney that is perfect served as a dip. 1. Peel the mango and remove the stone. Dice it into small pieces. 2. Cut the sweet red pepper in half and remove the stalk, seeds and membrane and dice into small pieces. 3. Heat oil in a pan when it is hot add the cumin seeds, followed by the pepper and mango. Stir fry the mixture for 2-3 minutes. 4. Transfer the mixture to a blender jug and add the lemon juice, salt, chilli powder, sugar and the coriander and cumin powder. 5. Blend the chutney to a fine purée, add a little water if you find chutney is too thick. Adjust seasoning if needed and transfer to a serving bowl.Taste should be spicy and tangy. Murrbo - Sweet mango pickle. Would be amazing with tortillas! I'm not really a chutney fan but this sounds delicious may give it a go! OOO this sounds yummy but I'd have to miss the chilli's out, so not for me! Great recipe, would go perfect with a homemade curry. My OH loves mango chutney so I'm going to pin this to make sometime. 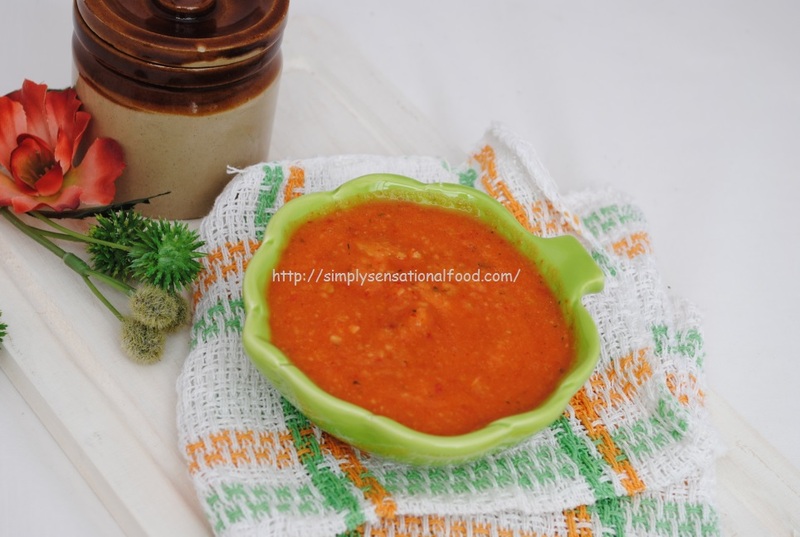 My mum used to make good green mango chutney. Lovely recipe. Thank you. I was searching for a green mango chutney! Sounds great for a cold day!